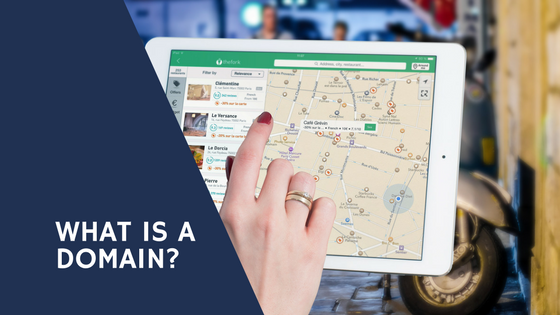 There are many facets to building your business online and confusion around what a domain is, shouldn't hold you back! We'll be digging into what a domain is and why you need one for your website. You know how you type in "google.com" << that's a domain name! Every website you go to uses a domain name, for example, if you look at the top of your screen right now, you'll see ours: 3stepsolutions.com. But what about https://www.3stepsolutions.com? Altogether, that's the URL. Narrowing it down to just 3stepsolutions.com is the domain name. You probably have heard that you need a domain name or maybe you already have one but aren't quite sure why. You need a domain name because it gives your website a readable address. Every website can be identified by a unique series of numbers called an IP address, something easily readable by a computer and how your computer connects to the server where the data for your website resides. While you could access your website by the IP address alone, it's not conducive to actual people remembering your website address. It's similar to having the geolocation of a person's house or an address. In both circumstances, you could get to the location, but one is easier for our brains to comprehend and remember. Just like the address of your home, your domain name is unique to your website. You can get a domain name at quite a few places across the web, we suggest GoDaddy or Google Domains - there's no difference in what they will deliver, it's just a matter of what add-ons you have available to you (for example if you know you are going to use GSuite for your branded business email, it might be a good idea to buy your domain through Google). As soon as possible! Right now, I have 5 domains I've purchased for ideas I'd like to move forward with. I may not ever use them, but since I purchased them, I get to choose whether I move forward with them or not! Since most domain names fall around $8-$15 a year, "reserving" a domain name you may want to use instead of not reserving a domain name and it gets used by someone else. Are you ready to go reserve your domain name today? Don't hesitate, go get it!